I noticed that this article gives four paragraphs to the first three candidates mentioned and only two paragraphs to Andrew Park's campaign. There is an uneven treatment in the number of issues written about for each candidate with only one subject mentioned for Park. Somehow I expect better from the Express. Why not try a more balanced approach by giving each candidate's view on the same four topics instead of this sloppily offered hodgepodge? Park is a much stronger candidate than the author would like us to believe and his star is rising rapidly. As a longtime Berkeley resident, I say it's time for a real progressive from Richmond — Tony Thurmond — to represent our 15th Assembly District and our 12-city region's interests in the California legislature. The Express' endorsement of Elizabeth Echols is based on tortuous speculation rather than the candidates' records. Tony Thurmond has held public office on the Richmond City Council and the West Contra Costa County school board. In those two elected positions, he clearly worked for the interests of the general public, not those of Chevron. Echols, not having held elective office, has no voting record. To attempt to smear Thurmond, as Echols has in recent ads insinuating that he's the tool of corporate interests, suggests a level of desperation that should not influence the Express in its endorsements. Thurmond, who calls forthrightly for banning fracking rather than the moratorium preferred by Echols, is the candidate I want fighting for our interests in the California legislature. Berkeley city Councilmember Jesse Arreguin decided, after observing the Echols campaign, to move his support from Echols to Thurmond. 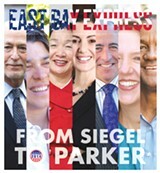 Given Ms. Echols deliberate misrepresentations, I suggest that the Express too reconsider its support for her candidacy. Your article endorsing Echols appears to have been written by a lazy writer, or else a writer who did zero research. I say this because the article repeats the Echols lie that Chevron has funded positive campaign literature for Tony Thurmond. You claimed that Chevron has donated to the Alliance for California's Tomorrow, the organization supporting Thurmond with glossy flyers without saying a word about Echols. Unions donated to that committee. Many businesses donated to it. A good reporter would have reviewed the list of who donated to Alliance for California's Tomorrow and seen that Chevron has not given that alliance a dime. One relatively small oil company called Occidental gave money. Echols knows Chevron did not give any money to that alliance but she implies it, and so does your endorsement. Relying on a candidate's biased self-funded political mailers while writing a story doesn't sound like journalism. It comes across as unprofessional and uninformed, if not ignorant and biased, using Echols own misrepresentations to justify the Express's puzzling endorsement of her. Do we want a representative, or any elected leader, to use distorted, dishonest, and ill-spirited ads to win campaigns? How ironic that Echols accuses Thurmond of benefiting from dark money when Echols is self-funding a lot of her campaign without putting that on a brochure. I know whoever wrote the endorsement of Echols does not know the facts because your endorsement asserts that Chevron donated to the group that Echols is using to smear Thurmond. You don't have to report manufactured facts to endorse someone. Just say: "We endorse Echols," without repeating her smear campaign lies, eh? According to records on file with the California Secretary of State's Office, the two largest donors to the Alliance for California's Tomorrow, which has been funding mailers in support of Tony Thurmond, are the California Independent Petroleum Association ($154,000) and a group called Californians for Jobs and a Strong Economy ($202,000). Chevron is the largest contributor to both of these groups. The oil giant gave $1.3 million to the California Independent Petroleum Association PAC (a group that is funded primarily by large oil companies) and donated $540,000 to Californians for Jobs and a Strong Economy. 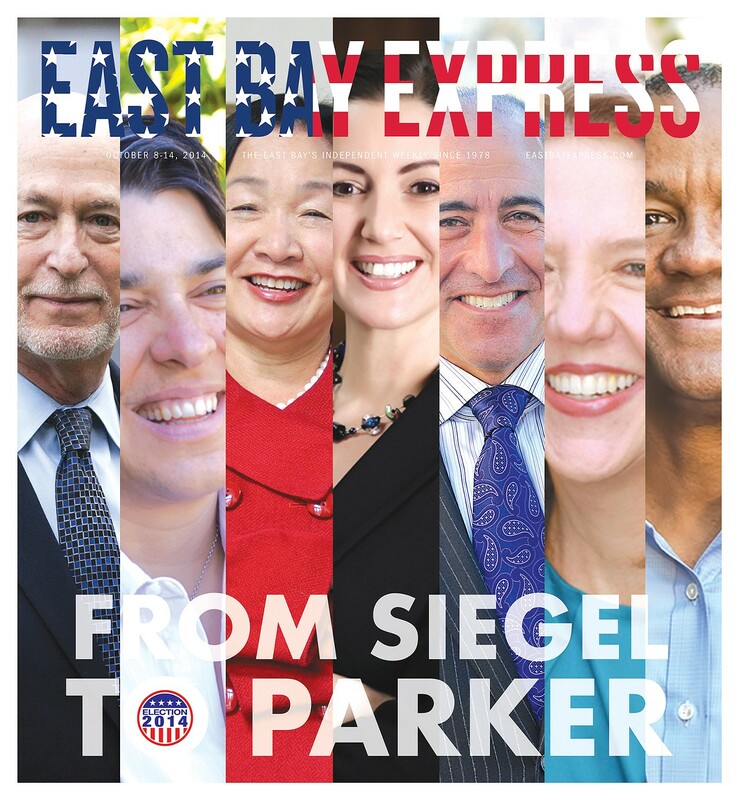 I'm surprised that you did not mention Mike Katz-Lacabe and Mia Ousley, who are running for San Leandro City Council districts One and Five, respectively. They both worked hard to get the City Council to pass the medical marijuana ordinance, attending and speaking out in favor of the dispensaries and organizing people to do the same. They are both running against opponents (Deborah Cox and Leah Hall) who are on the record opposing marijuana dispensaries. Victor Aguilar, who is running for District Three, may be pro-cannabis, but he did not participate in the fight to allow dispensaries in town. The Green Prince is an important documentary about a young Palestinian who, sickened by the racism and violence perpetrated by Hamas, for which his father served as a leader, made the ethical decision to combat terrorism by engaging in espionage for Israel's Shin Bet. By so doing, he doubtless saved countless lives. In the Express review, Kelly Vance opines that by collaborating with the Israelis, Mosab Yousef "committed the most shameful act a Palestinian Muslim can imagine."